I was reading last week that there’s a possibility spicy food – specifically dishes containing hot red chilli peppers – might be a factor in helping us avoid heart attacks and strokes. This news came from a research team at the Larner College of Medicine in Vermont. So, it was a happy coincidence that on the same day I found myself in Sopie Wan’s restaurant, where, Ms. Wan says, spicy Szechuan style dishes rule. 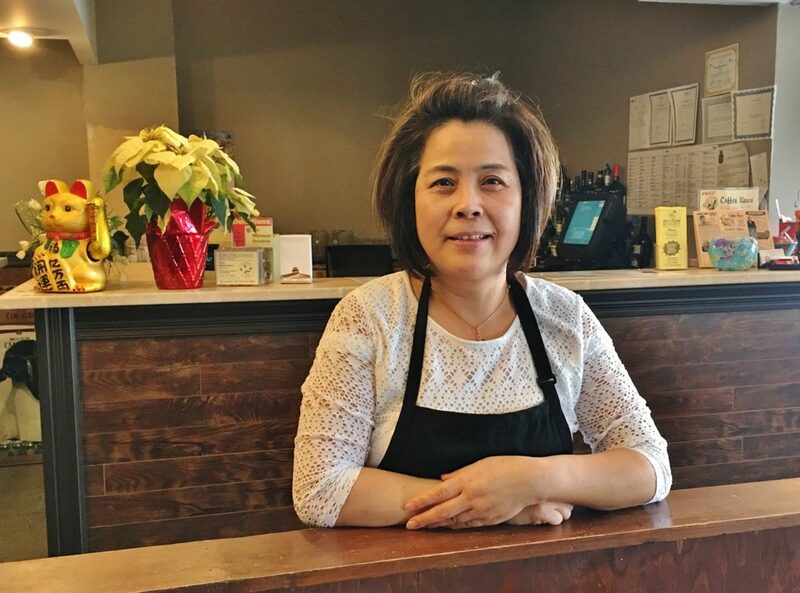 Sophie Wan has been owner and head chef at New Moon Restaurant on Topsail Road for two years. 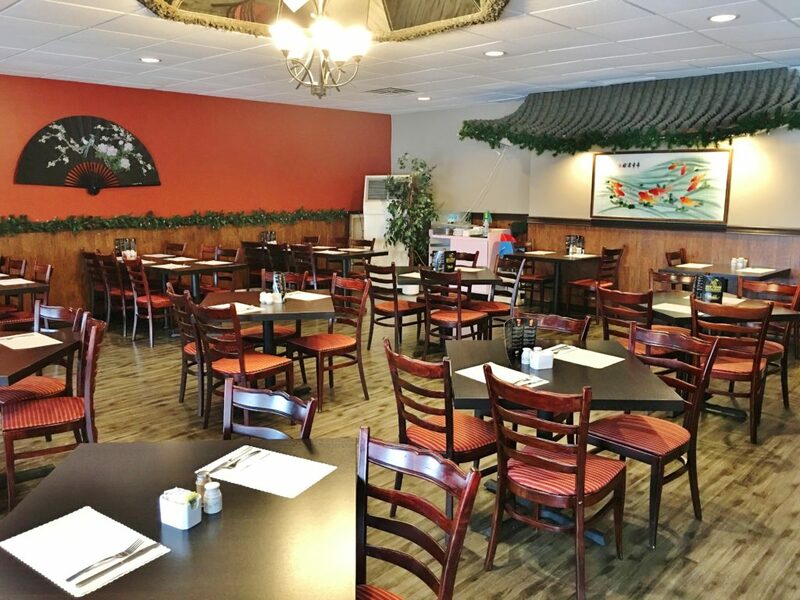 Mostly popular for its buffet – which it retains – and, of course, the usual take-out fare, New Moon was never on my radar for its traditional or home style Chinese dishes. It is now. Since taking the reins Sopie Wan has slowly but surely been adding and subtracting dishes from New Moon’s menu to make it more traditional. In addition to her buffet clients, she wants to attract more customers with a palate for something less run-of-the-mill – i.e. standard chicken balls with fried rice – and more interesting, like braised pork leg or cold chicken in ginger. Personally, she favours spicy food. That’s why she’d like New Moon to become known as a restaurant that offers excellent Szechuan style dishes, full of kick and heat. Sophie Wan’s restaurant is popular with Chinese students. A group of young Chinese people were dining there when I visited. Early next month Wan will prepare a special Chinese buffet, in honour of the Chinese New Year, for the many Chinese students currently studying in St. John’s. No doubt her culinary imagination will be in overdrive before that event. New Moon is mostly one large open space, that seats about 60 guests. Dark brown dominates, with accents of red on chair seats and some available wall space above dark wainscoting. A few, not many, decorative items suggest you’re in a Chinese restaurant: beckoning lucky cat at the check-out counter, painting of a school of goldfish, giant Chinese fan with lotus blossoms on the wall, and pagoda hints in the form of awnings. First course was a cold dish, Shanghai style “vegetarian” duck. I’m not sure why this product is classified as mock or faux poultry. I didn’t expect it to taste anything like duck. As far as I’m concerned it could be called vegetarian chicken, or even alligator. It’s gossamer thin, folded sheets of bean curd, and although the taste and texture is different, it looks a lot like bleached beef tripe. The curd, which had been soaked in a salty, caramelized, smoky sauce, was cut into three-inch long rectangles. More of the umami rich sauce pooled up on the bottom of the dish, tasting of soy, sugar and perhaps a touch of sesame oil. We ate the sheets using chopsticks. 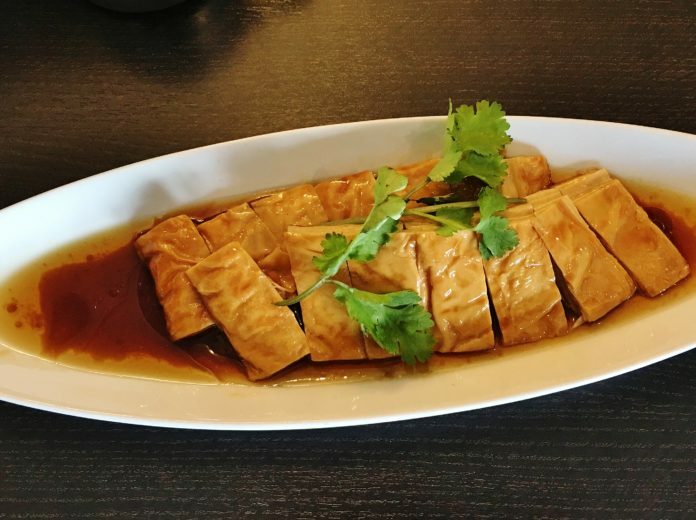 In this form, bean curd puts on quite a show in your mouth. It’s dense, light, and slippery all at the same time. 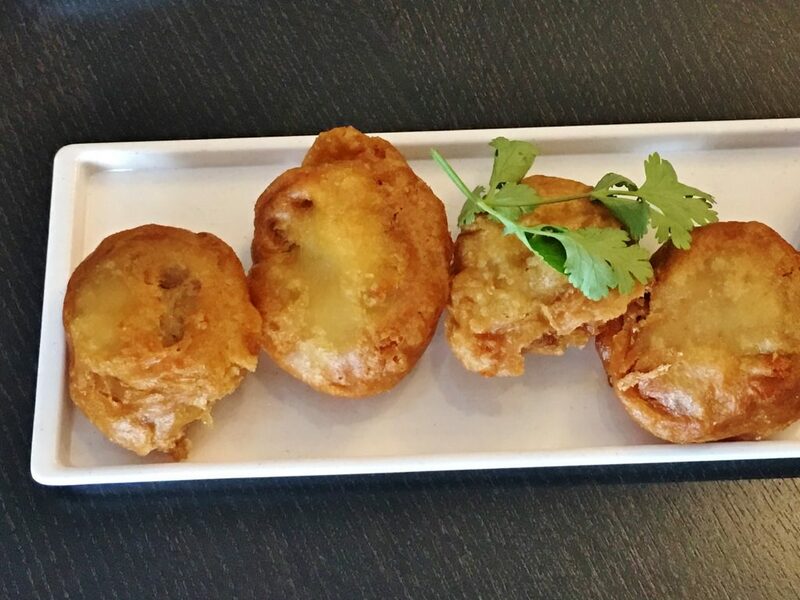 New Moon’s lotus root with pork filling was pork, wrapped in very thin slices of lotus root, battered and deep fried. Think of it as the equivalent of a small size piece of Ches’s fish – in terms of texture and mouth feel. Combined with a deliciously savoury pork flavour it was a treat. Most Newfoundlanders ask to have this dish with cherry sauce. Our server, Ruby, told me that Chinese customers have it without sauce. I can see the appeal of both ways. I opted not to have the sauce and enjoyed the unadorned pork taste. By the way, if you’re looking for a salubrious benefit in this dish, to counter the greasy negatives, lotus root is good for everything from controlling blood pressure (potassium) to building up the blood (iron). 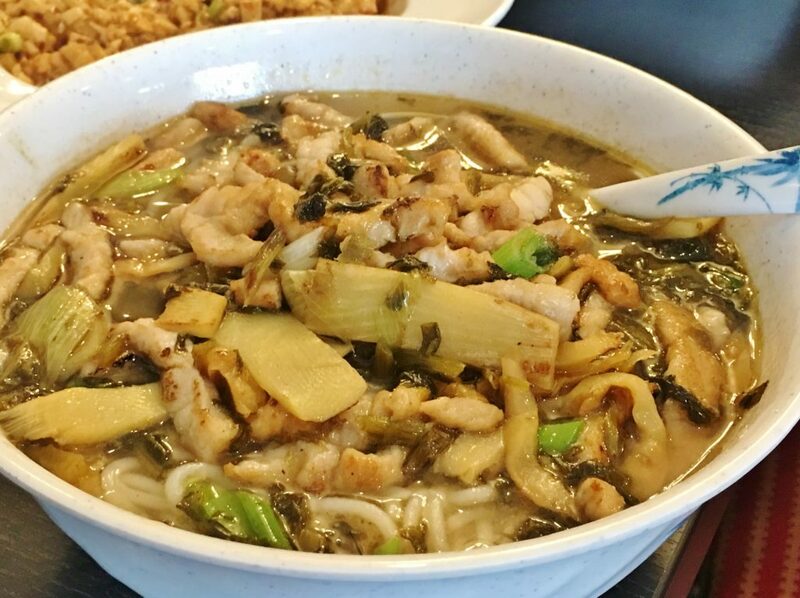 Pork, chopped Chinese preserved mustard stem and rice noodles figure prominently in New Moon’s shredded pork soup. It was a hearty concoction augmented with green onion (scallions), celery, chilli pepper and plenty of fat, slippery noodles for slurping. A bowl of this soup is all that’s needed to warm up and refuel on a frigid January day. I took some home and it tasted even better 24 hours later. New Moon’s menu identifies spicy dishes by pepper symbols. One pepper means hot, two means very hot and three, extremely hot. Szechuan style mapo tofu earned one pepper. At first glance, it looked like a supermarket salad. 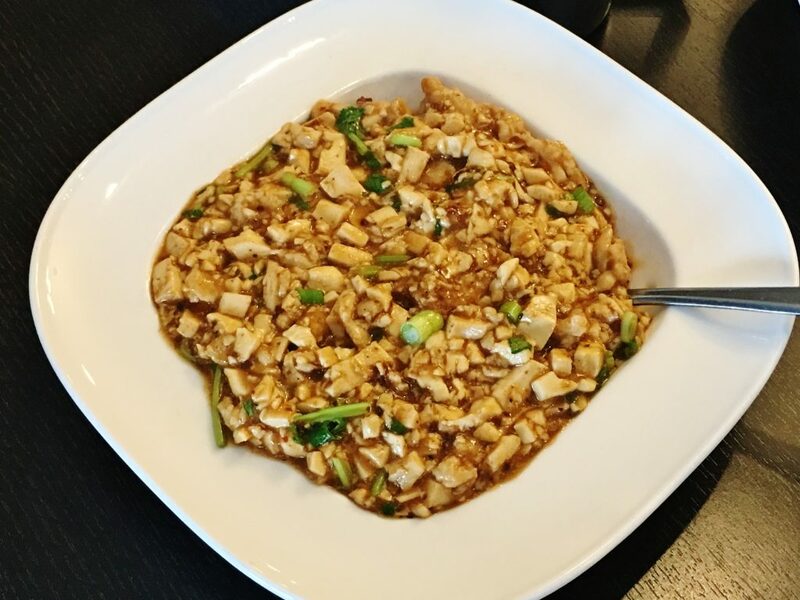 You know, the kind of glorious hodgepodge where you need to ask, “What exactly is that?” The lovely, palatable jumble contained small dice silken tofu – exquisitely tender, almost gelatinous – green onions, soy, et cetera. Everything was tied together with bean sauce. It could have handled more spice but, overall, I loved this delicious, earthy flavoured porridge. Sizzling platters are a bit of stagecraft. They’re all about the sizzle, the visual of the bubbling sauce, and that Pavlovian trigger, the unmistakable sound of liquid meeting a red-hot surface. It works on me, as it does everyone else, every, single time. My mouth waters in anticipation of something that I think will taste fantastic. Sometimes it’s fantastic and other times it’s just very good. 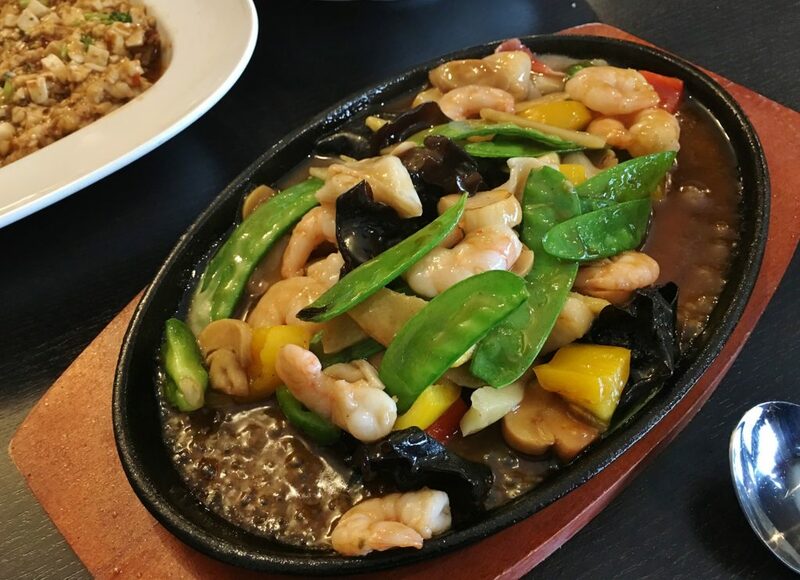 Our “seafood worbar on sizzling platter” was very good. The sizzling sauce was smooth and rich but carried little real flavour or bite. After all, it’s main job was to provide the sizzle, wasn’t it? Otherwise, what we were eating was a decent stir fry of shrimp, scallops and vegetables. One ingredient that competed visually, but on no other level, with fresh, crisp snow peas, was floppy pieces of rehydrated Asian black fungi. Finally, came my three-pepper dish of Chinese style braised beef, hotter than Hades, but thoroughly enjoyable. Red chilli peppers, complete with their fiery seeds, became the heat engine. 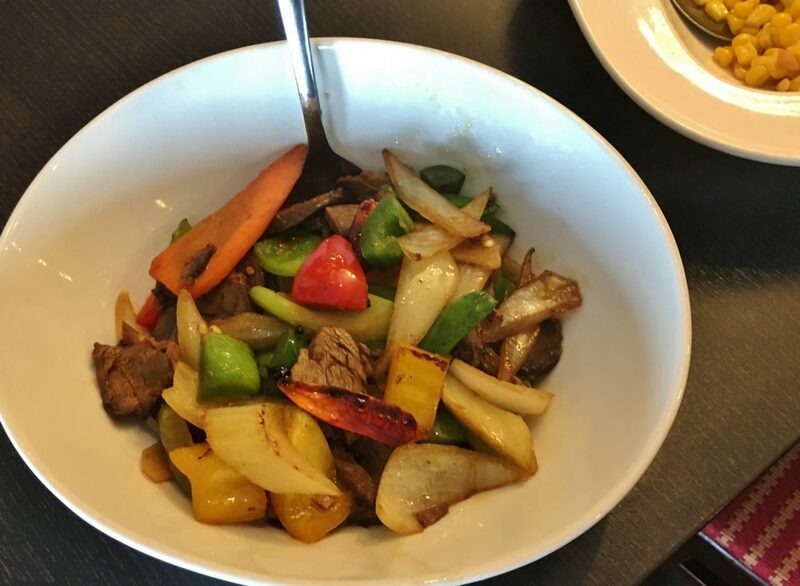 Uniform slices of perfectly seasoned, tender braised beef – in 50/50 ratio with the dish’s vegetables – delivered a punchy hit of true beef flavour, despite the accelerated temperature of the dish. Remaining ingredients included roughly chopped onion and red, yellow and green sweet peppers. After dinner, when I was paying the bill, our server handed us a couple of fortune cookies. They were the ones made by Wing’s in the red striped plastic packet – with fortunes and advice more sensible than most. Mine read, “Talents that are not shared are not talents.” I immediately thought of Sophie Wan. She has a real talent for cooking, and she’s sharing it. I say thank goodness for that. Keep sharing Sophie, please. Price Dinner for two with soft drinks, tax and tip costs approximately $65. Ambiance Dark colours make some areas of New Moon a tad sombre, especially when guest numbers are low. Open Sunday to Saturday from 11 a.m. to 10 p.m. Lunch buffet service: Sunday to Friday from 11:30 a.m. to 2 p.m. Dinner buffet service: Sunday to Saturday from 4:30 p.m. to 8:30 p.m. Beverages New Moon offers domestic beer ($4.20 ea.) and a handful of imports ($5.53 ea.). Standard highballs, and 18 martinis and cocktails – one with the unfortunate name of “Killer Kool-Aid” – are also available ($6 to $7.75 ea.). New Moon lists a tiny selection of inexpensive yet drinkable house wines, such as Frontera Cabernet Sauvignon ($5 per glass). Virgin cocktails, soft drinks, juices and tea and coffee are also available. Best bets Deep fried lotus root with pork, Szechuan style mapo tofu, and Chinese style braised beef. Wheelchair access Assistance may be required at entrance. Restrooms, while spacious, do not have grab bars.